Need a garden shed for extra storage but got a problem with space? 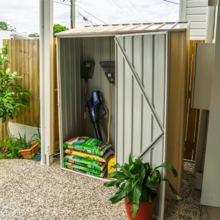 Our Garden Shed 1.52m x 0.78m x 1.95m gives you what you think was impossible – a secure, sturdy storage shed even if you don’t have a spacious yard. 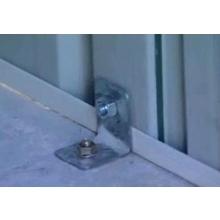 This space-saver is designed by Absco to accommodate home and garden tools and even sporting equipment and to fit in narrow patios or garages and even under eaves. 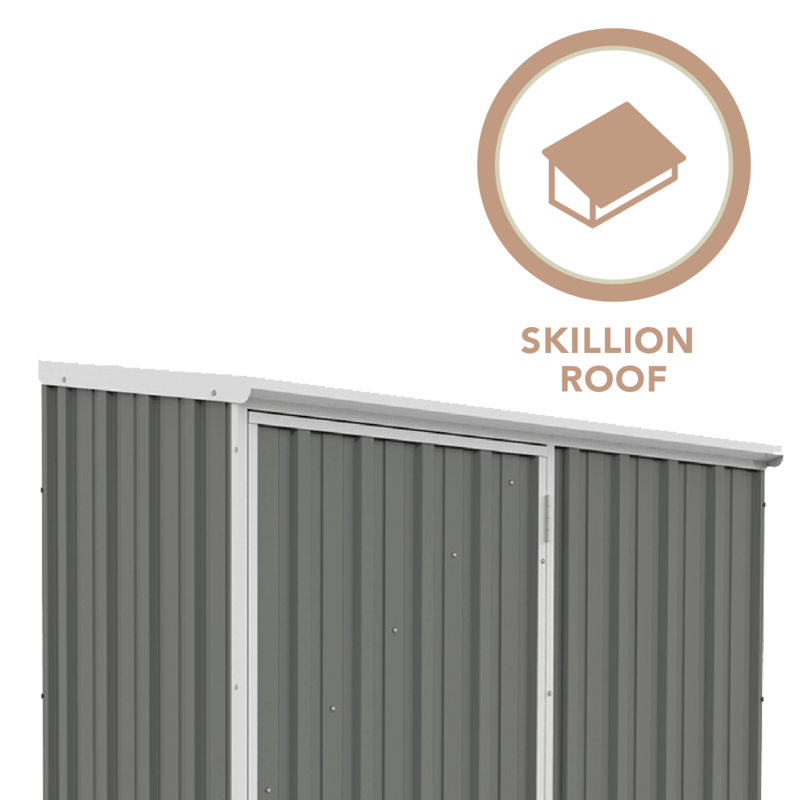 This shed features a skillion roof and a braced single door. 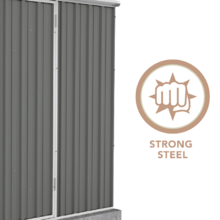 Made of Colorbond, which is steel building material known for its durability and quality finish, it is engineered to withstand cyclonic conditions with winds of up to 147 km/hr. 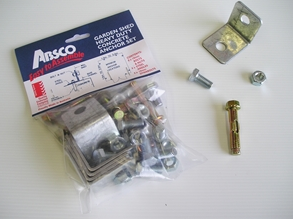 And like other Absco Sheds, it uses the Snaptite assembly system, so all components are delivered to you ready to be put together. You won’t need any professional help or major carpentry work to build the whole structure. 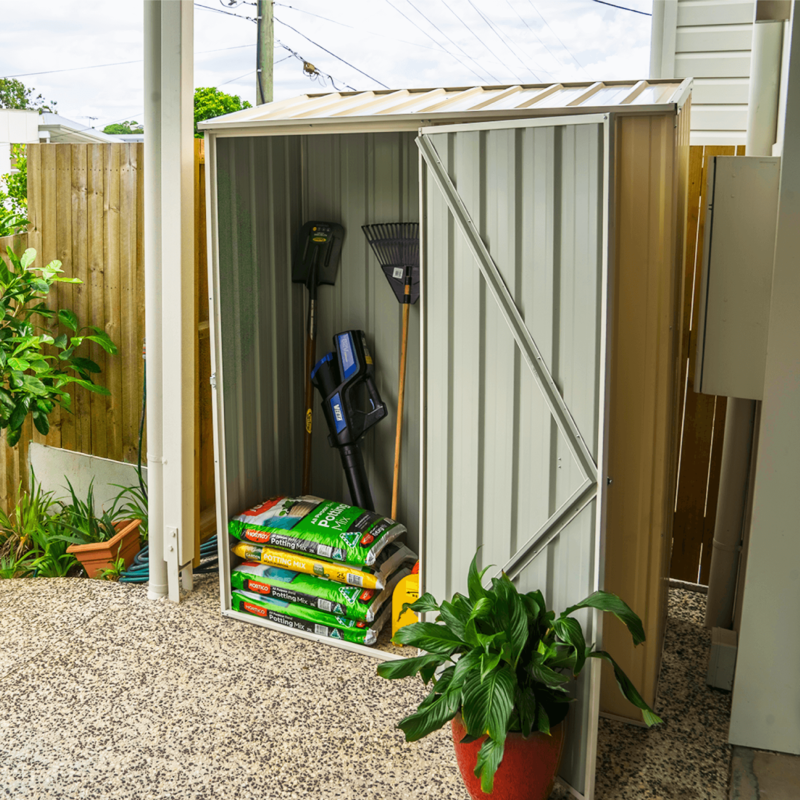 Call us at 1300 66 77 48, and let us help you get the shed that you want. Or visit our site to see more garden sheds and outdoor buildings. 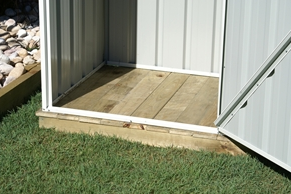 This is the shed that can easily fit a small corner -- and even a limited budget. 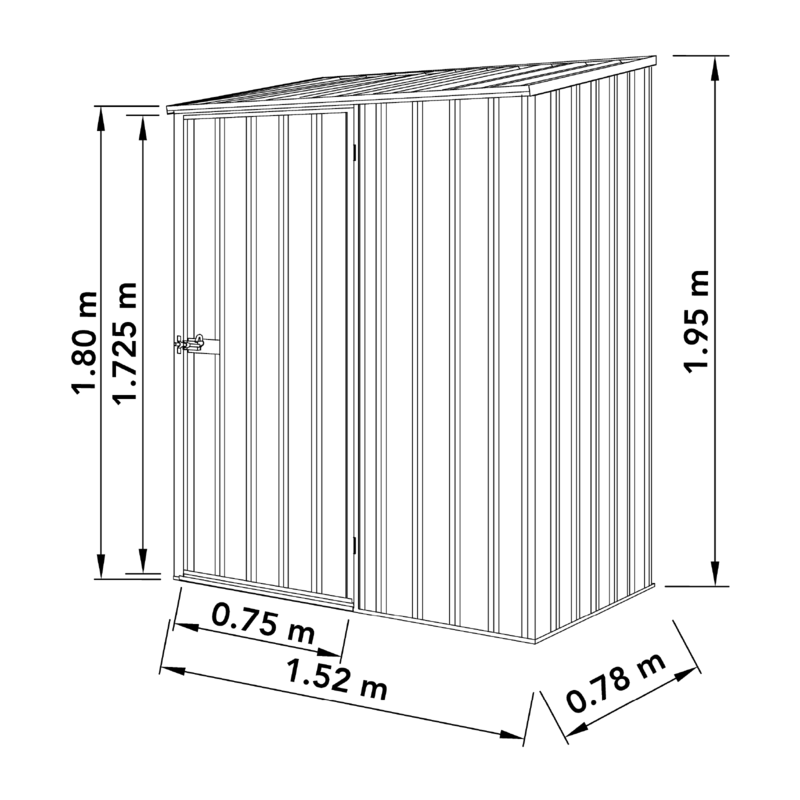 This slim shed comes from our popular ABSCO Eco-nomy Range, which feature durable and more affordable materials. 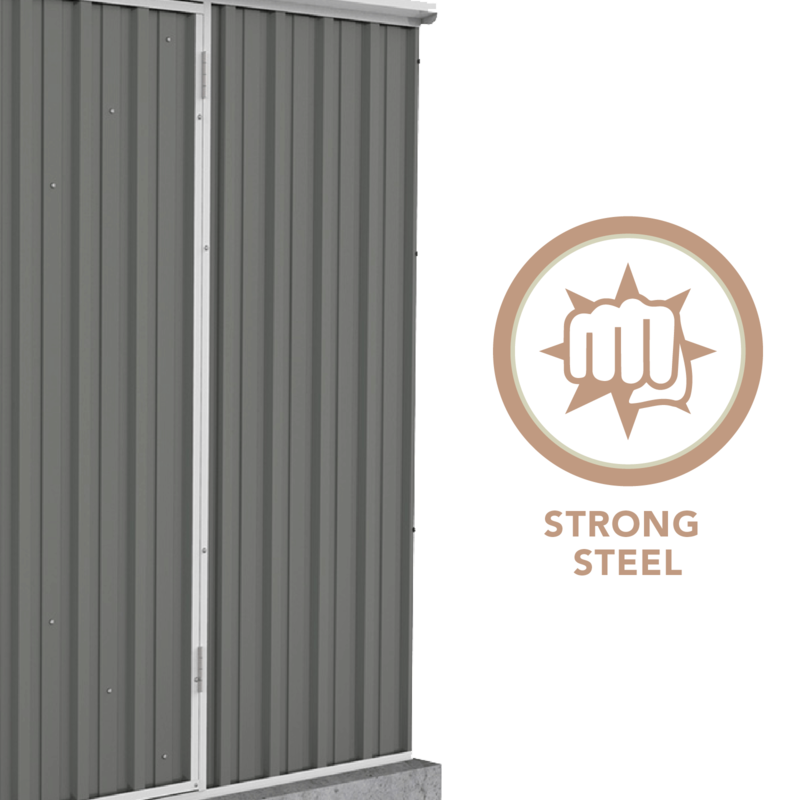 All Eco Sheds use high-tensile steel that makes them last for years and bear the fine finish ABSCO products have been known for. But this time, the material is of lower impact on the environment and on your pocket. It even comes in 100% recyclable packaging. We’d like to remind you that like all our Eco-nomy Range models, this shed sells fast. Order now! 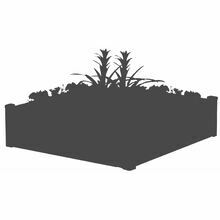 • Windows and Skylights are not suited to this model. 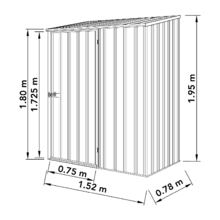 • Recommended slab size for this model is 1.62m x .88m. This slim skillion shed is probably one of the most affordable sheds you can find anywhere. 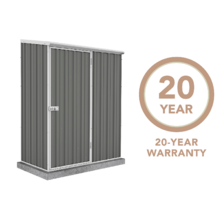 Like most of our other Garden Sheds, we’re giving you our Best Price Guarantee on this product. And if here’s another reason why you should order from us: our Simplified Shipping services, including FREE home delivery if you’re in any of our selected metro areas. And we do have seasonal freebies for particular products, so don’t forget to check that, too, when you order. 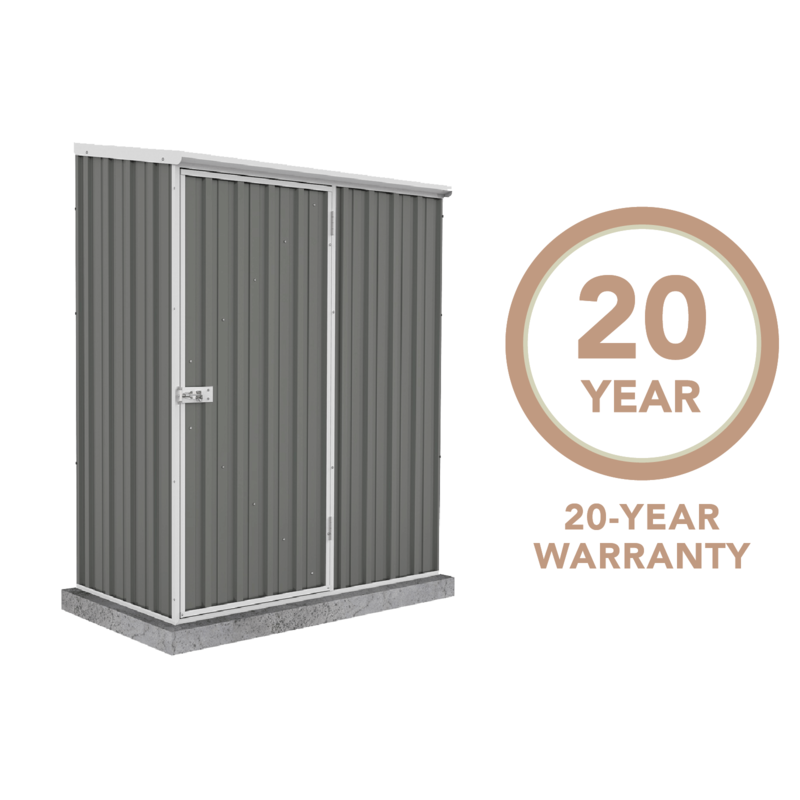 If you’re really scouting for the perfect shed for your small space, you might want to visit our line of Narrow Garden Sheds. 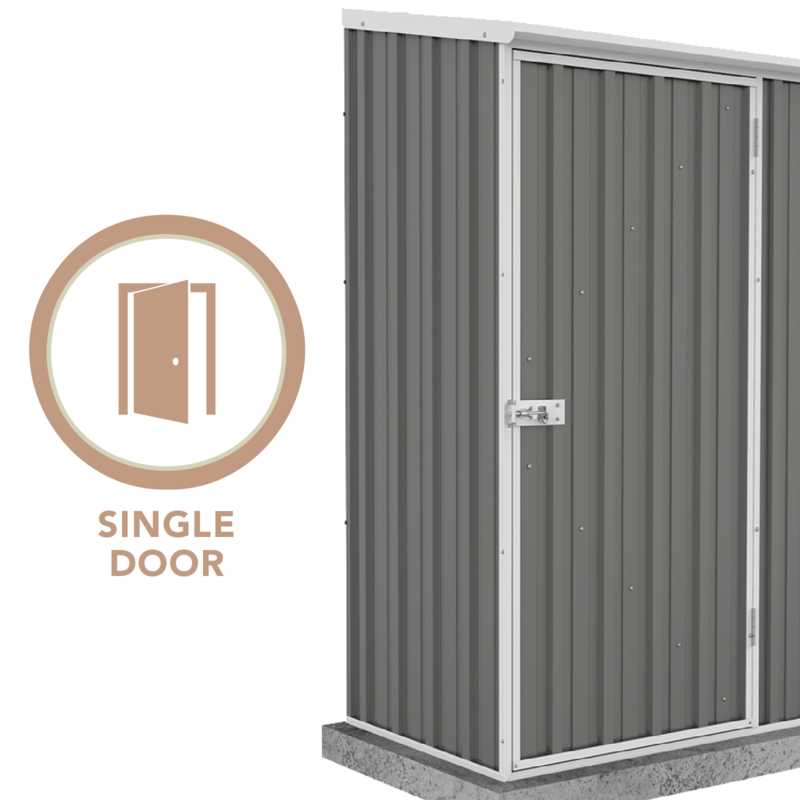 You’ll love our Ezislider, which features a sliding door, and our Ezi Compact, which would be great as a steel closet for your gardening and cleaning tools. Maybe you’d want to consider our Spanbilt Slimline? It has a little more width (2.01m) and with a choice of 1.07m or 0.72m in depth. 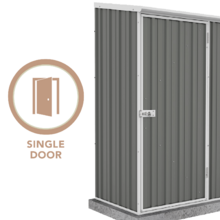 It has double hinged doors and a flat roof and available in Zinc and in Colour.